What is Perfect Money&#039;s e-Voucher? 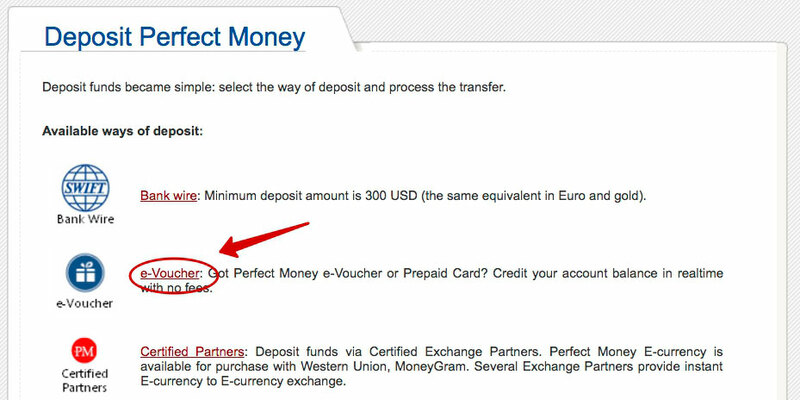 How to activate Perfect Money e-Voucher? What is Perfect Money's e-Voucher? 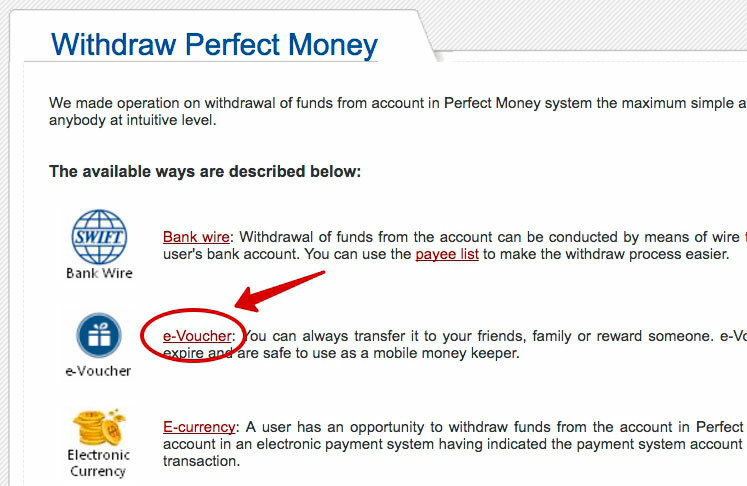 How to activate Perfect Money e-Voucher? On our site you can exchange electronic and crypto currency for a Perfect Money e-voucher, which you can activate at any time, since it has no limitations based on time periods. The amount indicated in the check will remain constant. What is a Perfect Money e-voucher? It is an electronic bank check, created as a means of depositing and withdrawing title units of the Perfect Money payment system. An E-Voucher contains a unique digital number (16 digits), an activation code (10 digits), the amount, and also the transaction date. How can you create a Perfect Money e-voucher? Log into the Perfect Money payment system. Go to the "Withdraw" section in your personal account on the system. 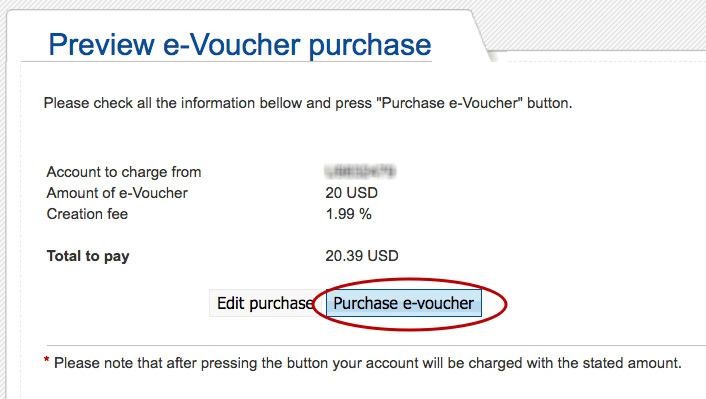 You will see a sub-section labeled E-voucher. 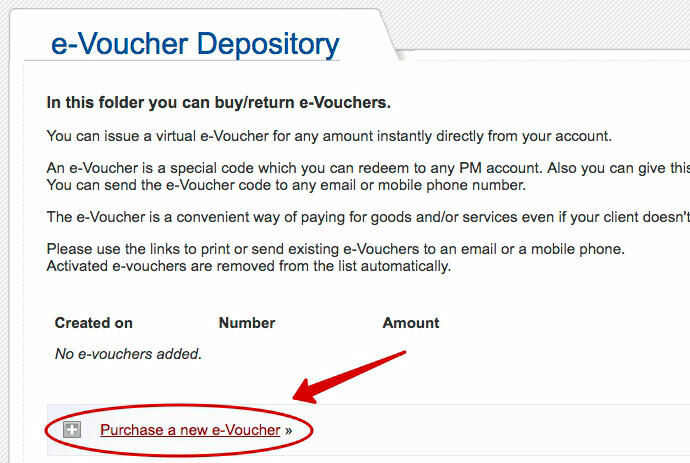 On the "E-Voucher depository" page, click "Purchase new e-Voucher". 1. Select payment account. This selection only arises if the user has opened more than one account in the transaction currency. When you have familiarized yourself with the information about the operation, click "Purchase e-Voucher". When the creation of your voucher is complete, you will be sent a text message containing an activation code. Keep this code somewhere where third parties cannot access it, if you do not wish to use it straight away. On our site you can exchange your voucher for any available electronic or crypto currency. 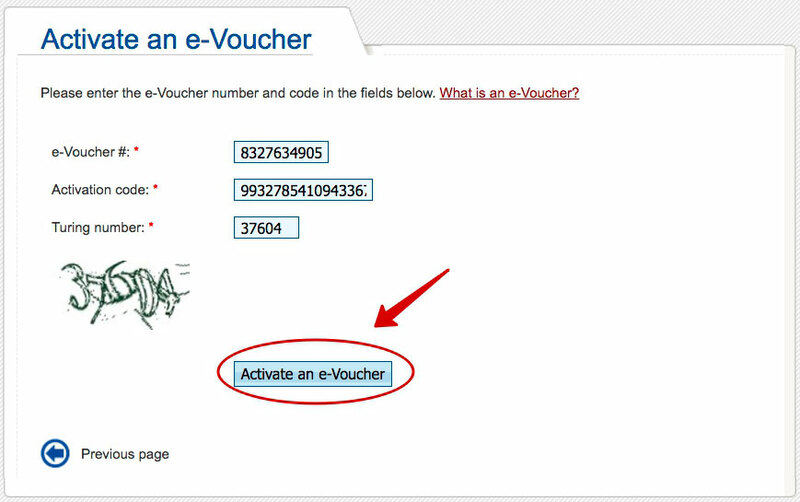 How do you activate e-Voucher?